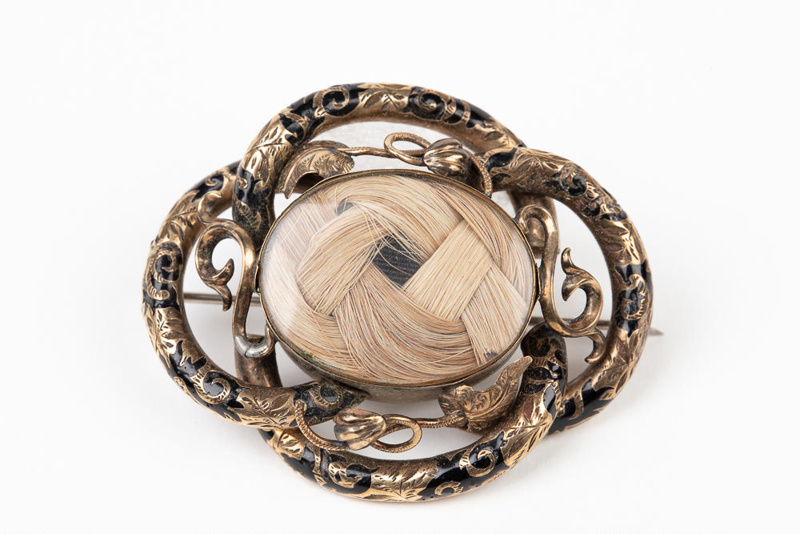 Loss, grief and hair are interwoven in Janet McNab’s mourning brooch. In 1871, tragedy struck Janet and her husband Alexander when five of their children, all under the age of six, died within three weeks of each other, following a mystery illness. The tragedy intensified six months later, when they lost a four day old baby boy. 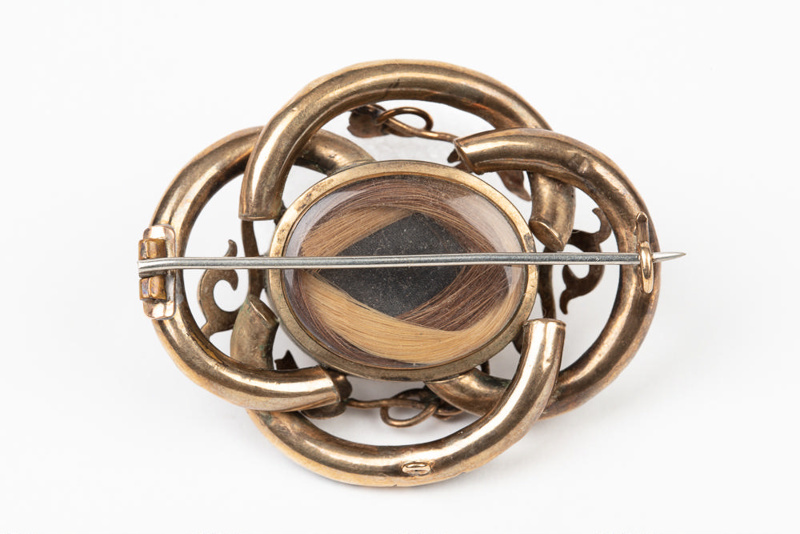 Inside the brooch, encased in glass is the plaited hair of Janet’s deceased children; an outward expression of her inner loss. It reminds us of the realities faced by colonial woman and provides a unique window into their emotional realm. 'During 1870 and 1871 an outbreak of something like dysentery occurred, and a number of children in various parts of Southland died. Adults caught the trouble, but only children succumbed. In April, 1871, Rev. RC Morrison, of Waikaia, arrived at our home suffering from the trouble and had to receive some nursing attention. The Minister was amusing the children, and all that played with him sickened and died. The eldest was at a quieter age and not joining the others, survived. Things happened quickly. One child died on April 21, two on the 2nd, and one, a girl, on May 7, her second birthday… A later death of an infant four days’ old occurred on October 6 of the same year. All sorts of stories were current, the most generally believed one being that the children were poisoned by dip used for foot rot. The Wellington authorities ordered the bodies to be exhumed. This was done and the organs sent to Wellington, where it was proved that the trouble was sort of dysentery.” (Records of the Gore and surrounding Districts’ Early Settlers Association). In 1876, at the age of 38, Janet died giving birth to a boy, named for his brother John. Such a sad and moving story associated with this piece of intricate jewelry! I wonder if at the time of design the maker was aware it would become history in the making....a remnant, and therefore an understanding of, trials and tribulations of New Zealand's...particularly Gore's historic past.